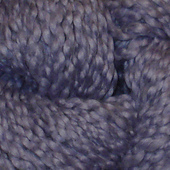 Farfalla organic worsted is a roving yarn core wrapped with fine threads for a fantasy texture. 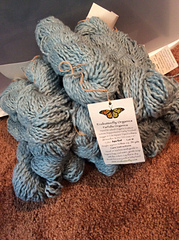 This Organic Cotton Yarn is not only hand brushed, but hand harvested & wood vat dyed by hand with organic eco-friendly dyes. 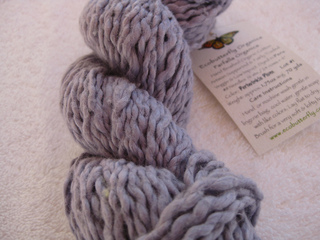 Small variations in color may result from the artisanal process which adds to the beauty & uniqueness of this yarn. 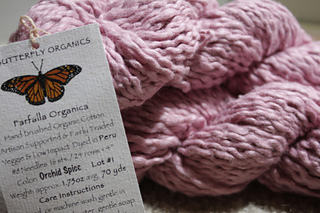 Made in Peru from Pakucho Certified Fair Trade & Organic Hand Brushed Long Staple Pima Cotton. 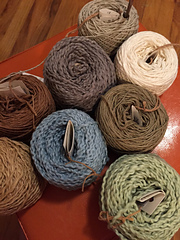 Offered in natural: marshmallow, eco white: Baby’s Breath & 30 botanical dyed or eco low impact dyed colors. Each color designates the type of dye used. 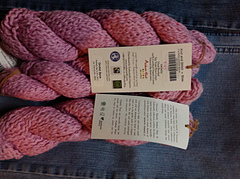 All Andean Mist Botanical colors are colorfast & better for the environment.